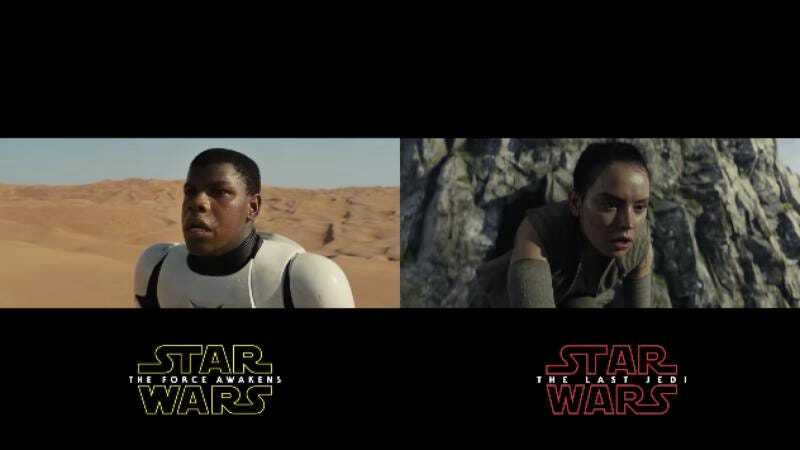 To be clear, this isn’t the original Force Awakens trailer, just a re-edited assemblage of shots from it. But they’re still playing with the same visual touchstones in much the same way, like the reintroduction of a wobbly Millennium Falcon or the shattered Darth Vader mask. The Force Awakens movie was widely criticized as a beat-by-beat remake of A New Hope, but this edit suggests that the reassembling of old ingredients into new formulations will continue. Or that, you know, they’re both Star Wars movies and these are just trailers. Hey, Poe looks handsome, right?